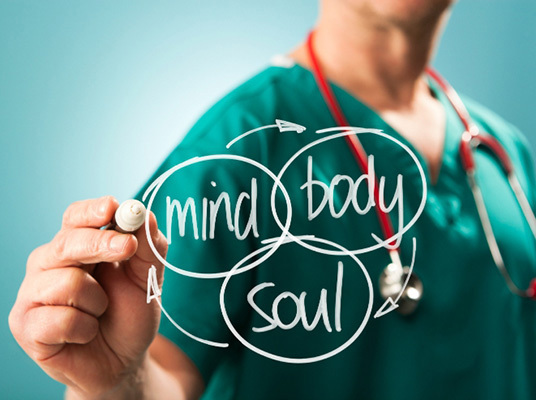 Integrative medicine aims to heal the whole person, rather than isolated symptoms. Jessica Cho, M.D. practices integrative and internal medicine at Wellness at Century City. She focuses on resolving acute or chronic issues, while considering how spiritual, mental, and physical factors influence your health and wellbeing. Make an appointment to take charge of your health today. An integrative medical doctor looks at the entirety of your life and considers all the factors that may contribute to disease. While conventional medicine seeks to alleviate immediate pain and discomfort, integrative medicine approaches the patient-practitioner relationship as a partnership in wellness. Integrative medicine uses natural interventions as often as possible. Health promotion and disease prevention are as important as addressing acute and chronic conditions. Patient education and self-care is an important component of integrative medicine, too. Integrative medicine is not complementary or alternative medicine, but it may borrow techniques from these arenas. It merges all available treatment options, so as to best promote your whole body health. What happens during an integrative medicine appointment? Dr. Cho takes the time to get to know you as a person and to understand your current symptoms. This helps her understand the nuances of your particular health situation and evaluate all aspects of your life that may be contributing to your illness. How does integrative medicine address thyroid problems? Thyroid disease, especially hypothyroidism, is a good example of where integrative medicine can be especially beneficial. Many women have the symptoms of low thyroid hormones, but are told that their lab tests are “normal,” and that they have no problem. Conventional medicine practitioners often only look at TSH, or thyroid stimulating hormone, rather than all of the thyroid hormone levels. Also, conventional medicine “ranges” for normal may not be updated, so many patients with hypothyroidism go undiagnosed. Unlike most doctors, Dr. Cho measures free T3 and free T4 levels as well as TSH. She also checks for thyroid antibodies, which can help determine the presence of an autoimmune thyroid disorder. Once she knows your specific hormone profile, she customizes an individually-tailored thyroid therapy regimen designed specifically for you. She may also explore the potential that you’re iodine deficient, which often occurs together with hypothyroidism.